The 27th January is Holocaust Memorial Day and we are screening films on this year’s theme ‘Torn from Home’. ‘The Danish Solution’ is a documentary account of how the Jews of Denmark were evacuated in one night, an evacuation involving the whole Danish nation and inspired by the King himself. We are very privileged to have the first non-festival screening of ‘The Forgotten Soldier’ - winner of the Audience Award at London’s Jewish Film Festival 2018 - which shows how a Consul in Lyon France issued passport’s and ID’s to Jews, even those in camps, thus securing their lives. We are honoured to have at the screening Lady Irene Hatter, the daughter of that heroic Dutch Consul, Sal Loach, whose actions saved so many. Please join us for refreshments in the bar area following ‘The Danish Solution’. There will be a retiring collection at the end of the day. 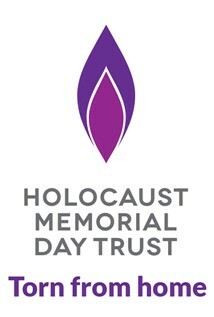 All proceeds will go to Chichester Marks Holocaust Memorial Day (CMHMD) to help pay for future commemorations and events. Please give generously. 240m. There is no charge for this event, but entrance is by ticket only, available on a first come basis from the box office.